The E270 dump trailer is as tough as it`s bigger brothers. 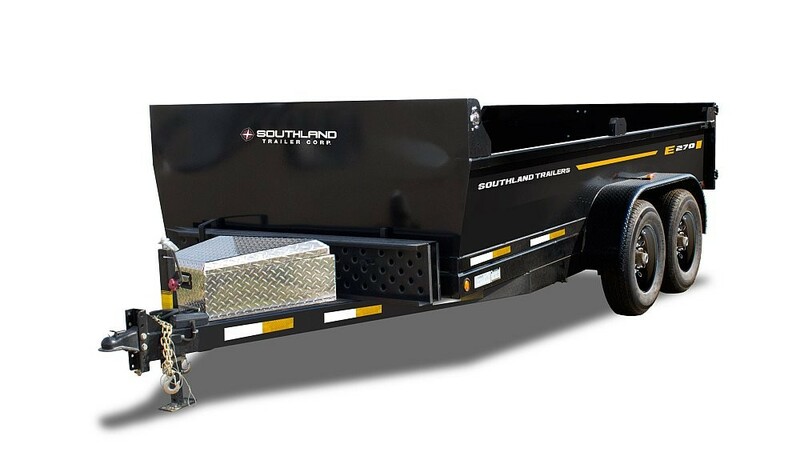 The standard load out package comes with an adjustable 2-5/16 inch coupler , 10 ply HD rated tires and a 5k drop leg jack. The E270 has a lift capacity of 8 tonnes based on a double acting 2 cylinder lift system. The 8 foot remote control unit increases the safety radius when loading and unloading. You can add lots of options such as a manual roll tarp kit, D-rings and many other options.